Effective communication skills are essential for successful business regardless of the size of business you are doing. It’s all about conveying and receiving your messages to other people clearly and unambiguously. 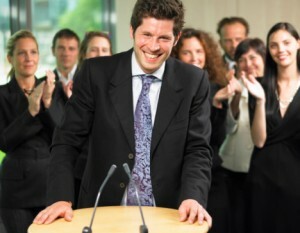 Good business communication skills set you apart from the crowd. There are many ways to improve your ability to communicate effectively. Search for a mentor: If you are willing to learn then no one can impede you. Find a mentor, who has good communications skills around you. If you are really impressed by him then you can ask him what he does to polish his communication skills. You can ask him to keep a track on your progress and give feedback so that you can improve. Active listener: To be good at business communication skills, you should first be a good as well as a patient listener. Don’t be passive, be an active listener. Listen to others carefully and indulge them in conversation to know the opinion they actually have. Raise good questions and listen to them well. Pay attention to words and actions and look at body language. You’re responsible for making certain that the message is communicated correctly as either a speaker or a listener. Practice makes a man perfect: Business communication skills can be honed by practicing them repeatedly. So start penning down what you learn. Try to write the things you normally do in person. Write your findings and other requirements yourself like memos, emails. Try to communicate face to face or by phone, so that you can see the impact of your words and adjust them appropriately. Formal training: You can go for a communication course that your company may offer or find out any short term course that you can pursue after your working hours. There are a number of online tutorials available. You are only a click away from them. Read more and more articles and blogs to enhance your skills.